In the summer months, take a two-hour tour of one of the world's busiest international waterways, the Detroit River. 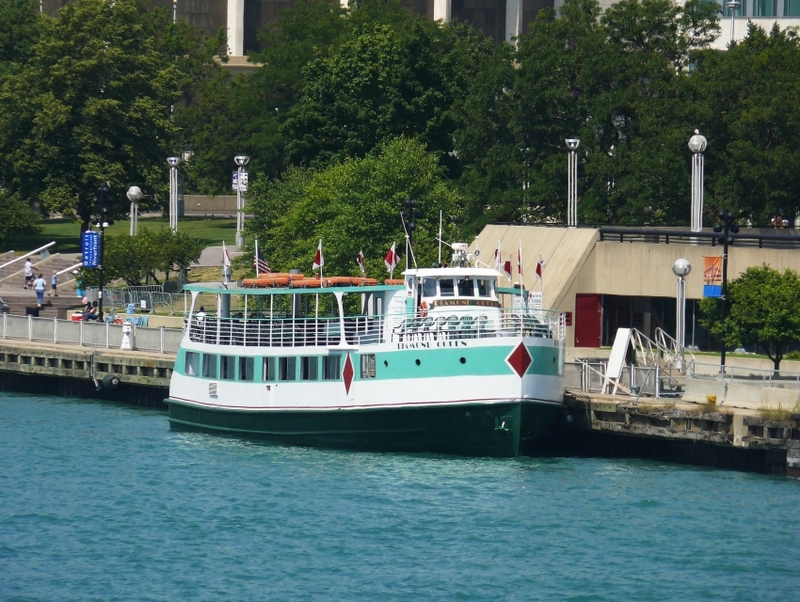 This fun cruise leaves twice a day from docks in two locations, The Upper Detroit River Tour departs from Detroit's Rivard Plaza while the Lower Detroit River Tour departs from Bishop Park in Wyandotte. The ships Diamond Jack and Diamond Queen have sailed the Great Lakes for many years and are Coast Guard approved. The Detroit tour passes by modern downtown Detroit and along the Canadian shore passing under the famous Ambassador Bridge.